To create a school atmosphere that is conducive to the learning of skills, attitudes, and knowledge so that all students can succeed in life. 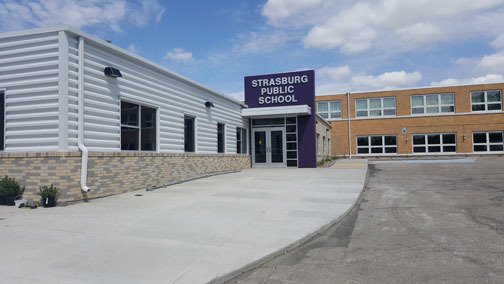 The Strasburg School District is working on making changes to its website to insure it is accessible to persons with disabilities. We’d like to know how the website is or is not accessible to you. If you would be willing to share your thoughts we would appreciate it. To submit any comments, please contact Larry Sebastian, Superintendent at (701)-336-2667 or by e-mail at larry.sebastian@k12.nd.us.